I've managed to avoid the Pokémon GO craze so far. I know full well that the moment I start playing it will be the moment I'm hooked, so I'm delaying that moment for as long as possible. If you ask the media, it seems everyone is playing Pokémon GO. In fact, so many people are playing it that in some places it has become a new social nuisance. 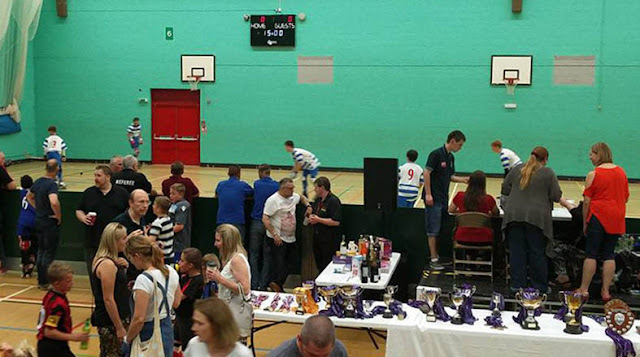 The game encourages players to walk around the environment they are in, which is all well and good until they inadvertently stray into areas where access is prohibited or undesirable, such as shops, public buildings, and even our very own Peterborough Arena, which has asked the company that controls the game to turn it off there in the interests of public safety! I'm a little too old to have been into Pokémon when the original craze took hold. But Pokémon GO is 'augmented reality' technology, and I'm no stranger to this. I've enjoyed a varied career, most of it in the digital sector (or 'new media' as it was called twenty years ago). My particular area of expertise was disabled people's use of technology. I worked for RNIB for 12 years in this regard. However, from 2006-2010 I worked for a well-known digital agency in London. This is where I encountered AR for the first time. Yes, the technology that has the nation in its grip is actually pretty old, with some claiming that the concept has been around since as early at 1901. When I was working with AR in around 2009, the technology was already pretty advanced. Many people had iPads by then and were getting very used to using touchscreen technology on their phones as well. However, although AR existed, it had yet to take off. If you're old enough to have had a mobile phone in the 1990s (I am!) you may remember that for a few years mobile phones were available and affordable but few people had them and you could do little with a mobile phone but make expensive phone calls. I remember owning a mobile in the late 1990s, but cancelling my contract a couple of years later. 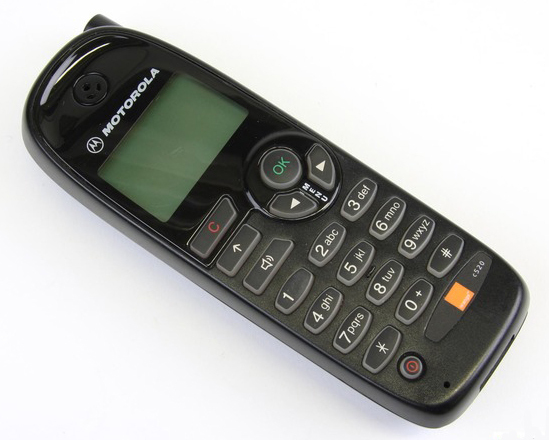 None of my friends had mobiles so owning one seemed pretty pointless! It wasn't until the turn of the millennium, when text messaging suddenly became very popular, that the mobile phone became a must-have. When internet access became available on mobile phones the future of the technology was ensured. Now in a museum, my first mobile phone looked like this. Yes, I am older than dirt. I remember the company I worked for trialling AR in the travel sector, but failing to find an application for the technology that got enough people excited. Fast-forward to 2016, and the creators of the already phenomenally popular Pokémon brand have cleverly found a used for AR that has set people's imaginations alight. It's called Pokémon GO. If I've lost you, here's a quick explanation. 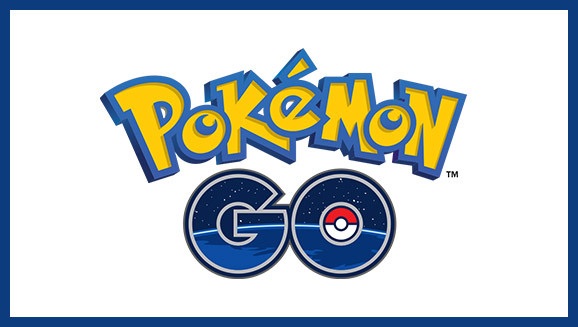 Created by Niantic for Pokémon, Pokémon GO is a free, location-based AR game. Once downloaded onto an iOS or Android mobile device (we don't say mobile 'phone' anymore! 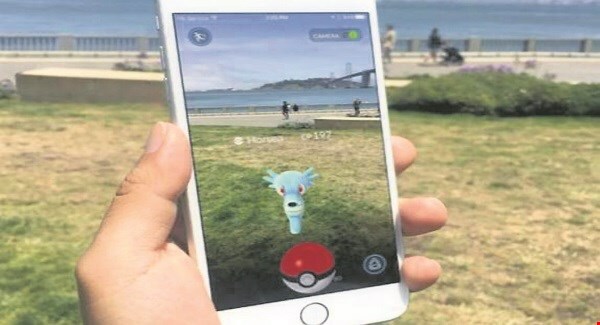 ), the application uses the device's GPS (global positioning system) and camera to capture, battle and train 'virtual' creatures that appear on the screen as if they are actually there in the real world. Why has augmented reality suddenly taken off in 2016? The answer lies in another technical term that's been around for a few years: gamification. For at least the past decade, experts in the future of technology have predicted that when services and products are gamified (i.e. turned into games, with point-scoring, competition and a certain amount of risk-and-reward for taking part) people will rush to use them in their millions. Now - eventually! - this prediction has become our reality. The magic formula has finally been discovered. AR + gamification + Pokémon = critical mass, disruptive innovation and big, big money. So what's the point of this little history lesson? I was thinking about all of this today shortly after watching the following video of Green Party MP Caroline Lucas (on my mobile device, of course). Earlier this week, Caroline presented a '10-minute motion' to the House of Commons. The motion called for a different system of voting called 'proportional representation (PR)' (I'll come back to that another time) and also called for the voting age to be reduced to 16 in all UK elections and referenda. It made me think about how it is that 16-year-olds are embraced by marketing companies and technology companies yet excluded from our political system. 2016's 16 and 17-year-olds are not like the generations that came before them. They have been exposed to always-on global media and marketing messages throughout their whole lives and they, arguably, have a far more sophisticated understanding and awareness of the world than I did at their age (30 years ago). The 16 and 17-year-olds of today have been marketed to by both scrupulous and unscrupulous companies directly and indirectly from the moment they were born with a degree of intensity that previous generations did not have to endure. Because of this, they are surely more savvy when it comes to making decisions, and more able to analyse and interpret complicated scenarios than their predecessors. They may make mistakes, but they are better equipped with the skills to help them learn from them. 16 and 17-year-olds are able to marry, have children, work and make very big life decisions, and yet they are not allowed to take part in the democratic process that directly affects their futures. It makes no sense to me. The owners and developers of Pokémon GO might very well consider the 16 and 17-year age bracket to be an asset in taking up and promoting the use of their latest product, the success of which can lead to job creation worldwide and further the development and application of the technology into new markets. Many 16 and 17-year-olds have jobs and pay tax. They are consumers, and as a group they have the purchasing power to make companies and technologies thrive or fail. Yet our political system simply doesn't recognise the value of 16-17-year-olds at all. How can that be right? Change takes time, and radical new ideas can take a while to catch hold. Caroline's motion failed this time, with 74 MPs in support and 81 against, but the issue isn't going to go away and Caroline and other MPs are not going to let the matter rest. Nor should they. 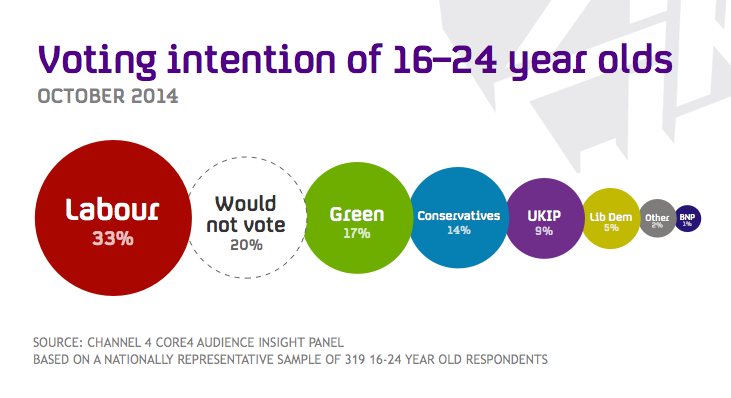 In 2014, Channel 4 asked a sample of 319 people aged 16-24 whether and how they would vote, given the opportunity. 80% said they would vote. Given the voter turnout in our recent City Council Elections in Orton Waterville ward was only 35% of those registered to vote this figure must make you think again about whether younger people should be given the precious right to vote. How would any of us older folk feel if we were denied the vote on grounds of age? I don't think it makes any sense to ignore or discriminate against 16 and 17-year-olds, especially when they are perceived by technology and marketing companies to be perfectly capable of making informed choices and decisions in their own lives. It seems to me that politics could benefit from a bit of disruptive innovation and lowering the age at which people can vote might just be what's needed. They've got the ability. They've got the motivation. I trust them. Do you? I had a lovely experience on my way to a meeting at Ferry Meadows this week. As I walked down Ham Lane, every single person who passed me smiled and said 'Good morning'. It's special because acknowledging one another really matters. A very long time ago, when we were all 'hunter gatherers' and had to forage for our food it was really difficult for us to survive by ourselves. 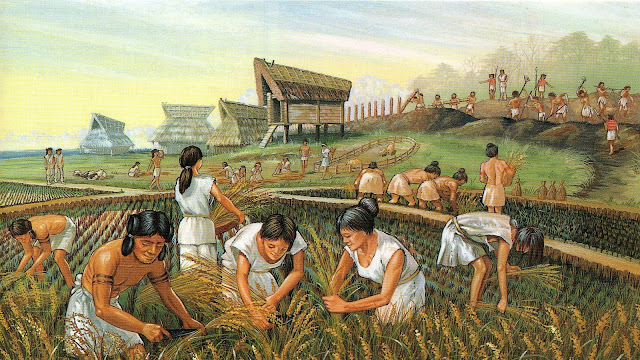 We needed to search for food together, to build shelters and make clothes together, and to rely on each other for protection. We live differently now, however, feeling that we are part of a community and feeling that others value us as individuals is still very important for our survival. Why? Because being acknowledged is vitally important for our mental and emotional wellbeing. In turn, our mental and emotional wellbeing is very important for our physical wellbeing. We used to live like this. If we still did we might acknowledge one another a bit more. More of us than ever before now live by ourselves, through either choice or necessity. I lived by myself for ten years and absolutely loved it. But key to doing well on my own was knowing that I was 'by myself' but not 'alone'. I knew my neighbours and I had friends so I felt supported and acknowledged in the world. Emotionally and mentally I felt well. But many people struggle with the loneliness that can come with living alone, or don't live alone in the literal sense but feel lonely in the emotional sense. A simple 'hello' from an acquaintance or a total stranger can be the only human contact a person living by themselves has that day, or even that week. A few years ago, when I was writing my book, I spent many days alone (I tend to work through the night and sleep through the day when I'm writing). I needed the social isolation but I also needed human contact. Sometimes, I'd think of an excuse to go to the corner shop just so I could have an interaction with another person. We're all really busy, and it is of course true that some people don't want to be bothered with others when they are going about their daily business, and this is their right. But I would ask you to take up a challenge that I often set for myself. It's really simple. Adults forget that smiling at one another is important. When you're out and about, and someone is about to pass you in the street, smile, make eye contact, say 'hello'. We're social creatures and most people will return your greeting automatically. Others will be so surprised they won't react until you've passed by. Others will be shy or may experience social anxiety. They may not return or even acknowledge your greeting, but on the inside your simple acknowledgement will have made a difference. And of course there are other people who will just ignore you because they're grumpy, and that's alright too. There's a bit of science to it. When we greet someone (in a nice way) we trigger in that person and in ourselves a release of the chemical 'oxytocin'. This is a hormone that helps us to feel good about another person. 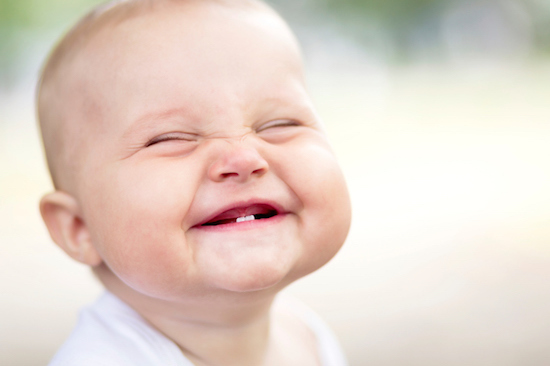 In fact, the moment your start smiling, you're making yourself feel better. So if you're not a good mood on a particular day, the best thing to do to make yourself feel better is smile and say 'hello' to someone! If you're the one receiving the greeting from someone else, smile, make eye contact and say 'hello' back to give yourself a boost of feel-good chemicals. This is a completely natural way to feel good and you may notice that you begin to feel better about yourself and more confident in yourself the more you do it. Think about it: why do you love your favourite comedian? Because he or she makes you smile and smiling makes you feel good. If your greeting is ignored, don't be disheartened. This isn't about rejection or failure. Your act of giving acknowledgement to another person is good for you. This is not just about your need to be acknowledged. Rather, it's an act of giving acknowledgement to another person that is hugely empowering and life-affirming for both parties. On Christmas Eve, for example, I set myself the challenge of seeing how many people I can say 'Merry Christmas' to that I pass in the streets where I live (if they reply that's bonus points!). We've become not very good at the simple act of acknowledgement but we can so easily put that right. You can tell how happy those people on Ham Lane made me feel because I'm still thinking about it (and writing about it!) two days later. I bet they have no idea of the positive power of their simple 'good morning'. If you would like to help to make our community happier, stronger and safer, it all starts with 'hello'. A few weeks ago I had a close encounter with some bats that were in need of help. But bats aren't the only species that need our protection. Butterflies need help too, and YOU can help. From 15th July to 17th August 2016, the charity Butterfly Conservation is asking people throughout Orton and all over the country are being asked to participate in the Big Butterfly Count. It is so easy to take part and great fun for children, who will love learning about the nature right on their doorstep. It is also a wonderful reminder to all of us of how we are surrounded by natural beauty in Peterborough, and how we can all play a role in protecting our wildlife. Then choose a spot near to where you live and stay there for 15 minutes. Make a note of any of the butterflies that you see, including any you spot that are not on this chart. Then return to the Big Butterfly Count website and log your sightings. 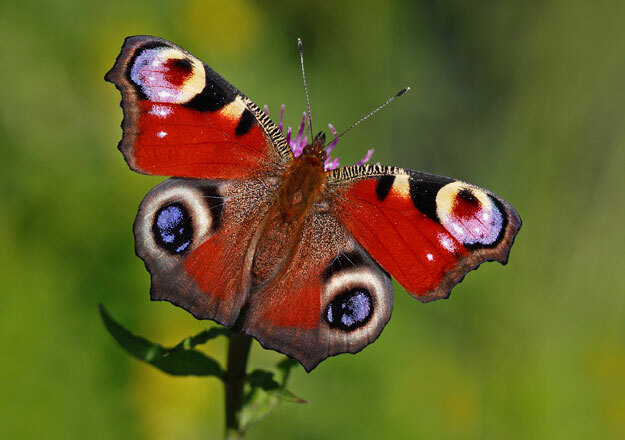 Sir David Attenborough explains why the Big Butterfly Count is so important. 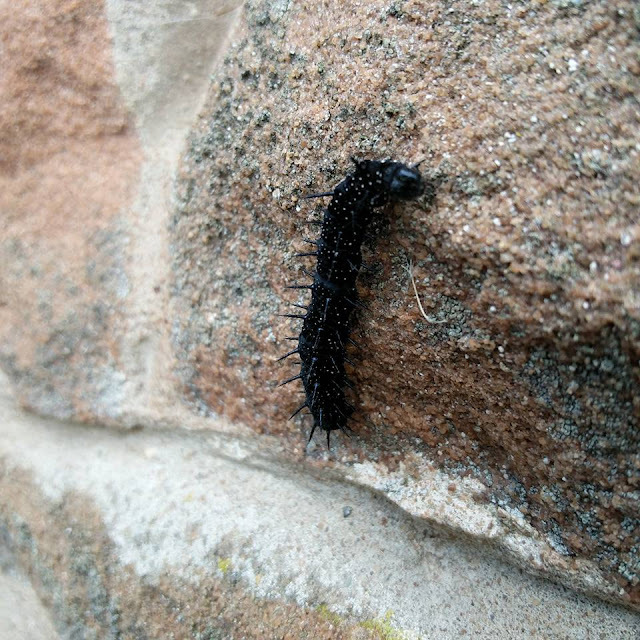 On my recent trip to Cumbria, I spotted a huge caterpillar on the wall of the converted barn that I was staying in. Do you know what sort of butterfly this caterpillar will soon become? Believe it or not, this wonderful beast will eventually turn into a peacock butterfly, just like this one! Helping the nature on your doorstep doesn't have to be messy or dangerous. 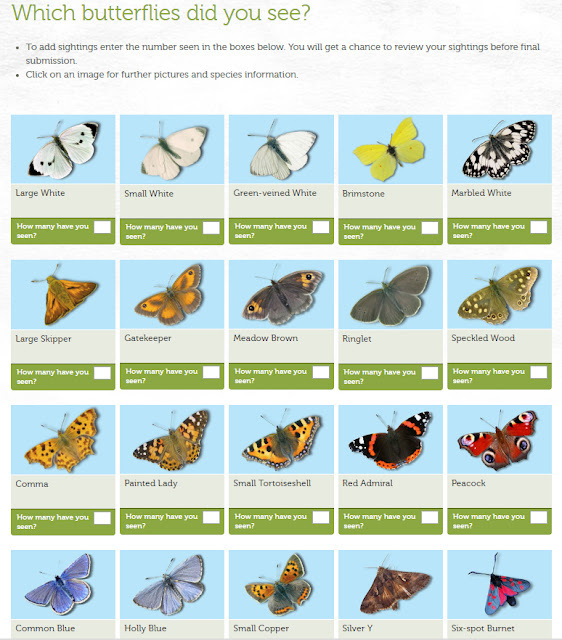 Anyone can take part in the Big Butterfly Count and help the fascinating and precious creatures living all around us. At the South West edge of Peterborough, near the village of Chesterton you will find a special place called Hill Farm. Since in the early 1970s, the owners of the family-run farm have invited the public to visit between June to October to pick their own soft fruit and vegetables. However, there's much more here than fields of fruit and veg. With families in mind, there is a play area for children, a display of birds of prey and a farm shop (handy if you don't feel like picking the fruit and veg yourself). What's available obviously depends on the season. 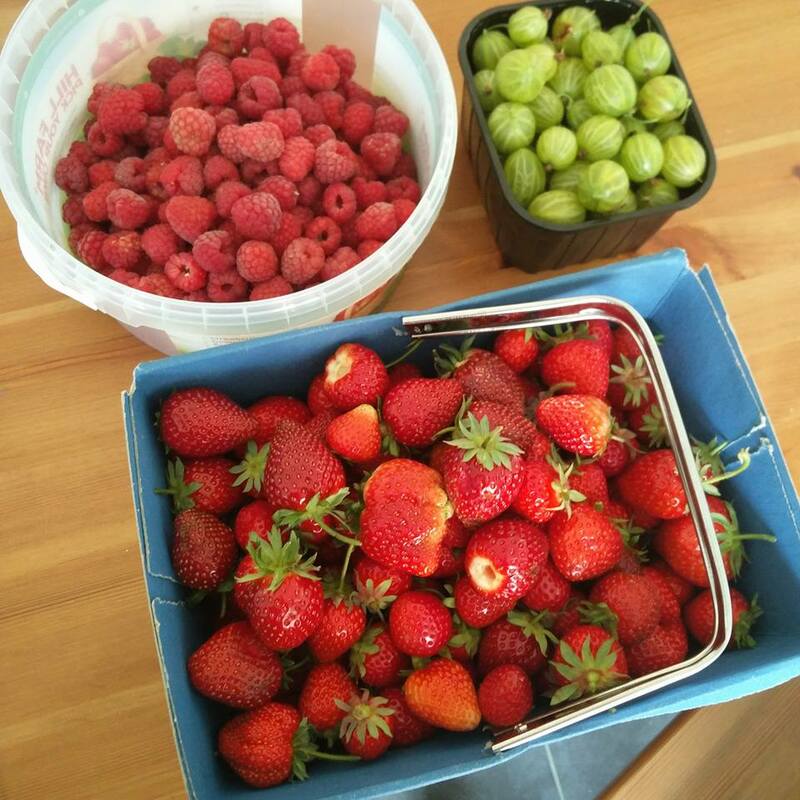 I visited in mid-July, and picked strawberries, raspberries and gooseberries. 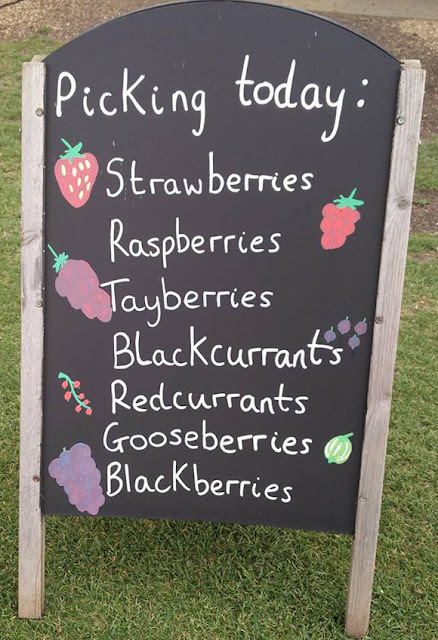 Tayberries, redcurrants, blackberries and blackcurrants were also available. At other times of year, sweetcorn and pumpkins are available to be picked. 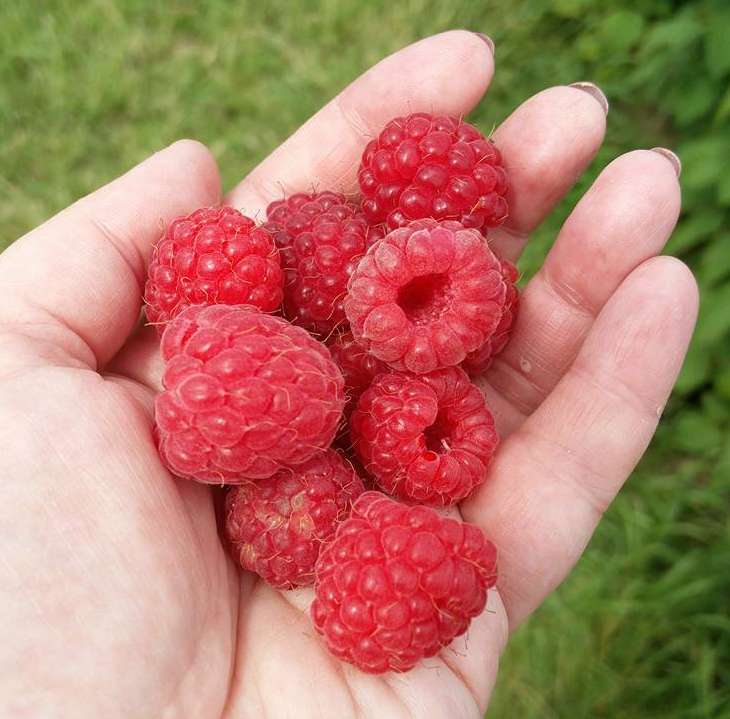 Picking your own fruit is easy and a lot of fun. When you arrive you choose a container from the farm shop and when you have picked your fruit it is weighed (in the container) and you are charged accordingly. A board in the shop indicates how much the fruit costs per pound. It's not the cheapest or quickest way to buy fruit, but that's missing the point. When you buy local, you are supporting a local business and Peterborough's economy. You are also supporting the environment, because the food you pick has not arrived by aeroplane, and you can also be sure that people were not exploited to bring this food to you. What you pick is also free of many of the chemicals necessary to preserve food that is transported to the UK from other countries. 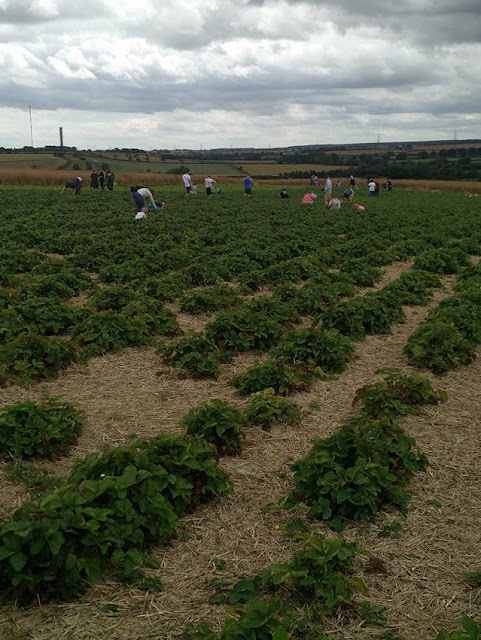 On top of all of these benefits to the community and the environment, picking fruit is great exercise. In fact, it's harder work than you think, but a lot of fun and it's clear that it is a massive hit with families with small children. 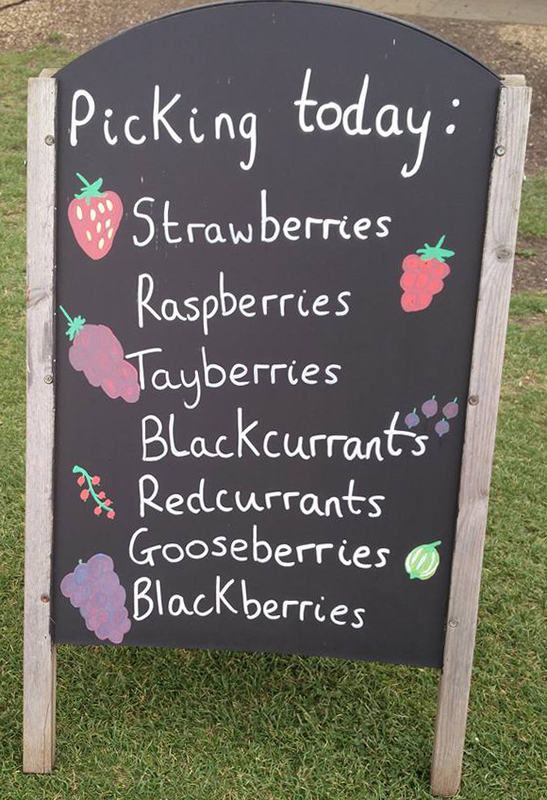 Hill Farm is close by, it's a lovely day out, and you'll have lots of delicious, ethically-sourced fruit and vegetables to show for it at the end! To find out more and discover what's in season, visit the Hill Farm website and Facebook page. I picked strawberries, raspberries and gooseberries. This picture also shows you the three different sizes of container available. 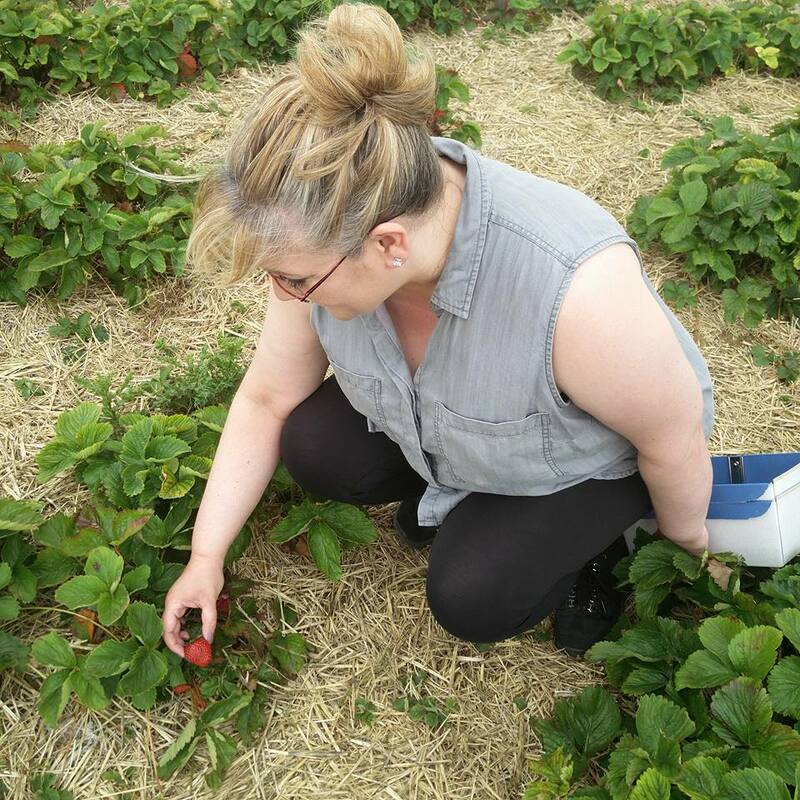 You can bring your own container, but it must be weighed before you start to pick. You may think this is a lot of fruit, and be wondering how I'm going to get through it all! I use fruit in all kinds of cooking and baking and even use it to make drinks. Anything I don't use straight away will be frozen so nothing will be wasted. Oh, and the Strawberries are destined for a jug of Pimms (obviously). If you've ever only eaten fruit 'as it comes' why not start a new adventure and discover how easy it is to cook with fruits you have picked yourself. Shop-bought desserts are full of preservatives and sugar that your body doesn't need. Be adventurous and experiment with fruit. You may find you never need to buy prepared fruit or desserts from the supermarket again, because you just won't want to! If you had asked me a month ago what I know about bats I'd have said "very little"! That was before I took a week-long break on a farm in Cumbria. You may be thinking that a week on an isolated farm is the ideal place to get a bit of peace and quiet, and it is, but at certain times of day the converted barn that I was staying in was anything but silent as its resident swallows and bats made their presence felt. I first noticed the bats on the first evening of my stay. I heard some scratching in the roof space above my bedroom so went outside to investigate. Sundown is quite late at this time of year in Cumbria, so it was 11pm - and still light - when I ventured out into the garden to find out what all the noise was about. When I stood just below the eaves of the house, a squeaking noise could clearly be heard coming from the direction of the barn roof. Shortly afterwards a bat flew out from a space between the roof tiles at great speed! It was soon followed by another. And then another. And then another. When the count reached 18 I stopped counting but the bats did not stop coming. I reckon there must have been at least a thousand in there, sleeping all day, and flying out at dusk to feed on insects on the wing. There are a few things everyone needs to know about bats. Bats do a lot of good in our environment. Over 500 species of plant rely on bats to pollinate their flowers. Bats are insectivores (they eat insects) and will eat thousands of insects every night, including blood-sucking mosquitoes. Bats also play a vital role in distributing seeds of trees and other plants. Some bats are 'indicator species'. This means that changes in their population can mean that there are also changes happening in the biodiversity of their environment. So bats are very special little creatures. In fact, they are a protected species in the UK. 5. Intentionally or recklessly obstruct access to a bat roost. So bats are important and they are protected by the law. But what should you do if you find a bat in trouble? A couple of days into my stay I was in the garden in the early evening when I noticed the now unmistakable sound of squeaking bats. This time, however, it was clear that the noise wasn't coming from the roost in the roof. I followed the sound, and it led me to a covered drain on the ground. Looking up, it became clear what must have happened. A drain pipe leads from the guttering below the roof, very close to where the bats were roosting. Some of the bats must have flown down the drainpipe by mistake and become trapped in the drain with no way of getting out. I knew immediately that the bats needed help. I knew also that a number had probably already died down there. Upon lifting the drain cover my suspicions were confirmed: six poorly bats and a number of others that had already succumbed to being stuck in the drain for however long. Before doing anything else, I immediately called the National Bat Helpline for advice. It being the evening by now, I got no reply from the local number that was suggested so I immediately called the local out-of-hours vet, who was incredibly helpful. 1. Bats don't do well on the ground or away from the location you found them in, so don't leave them on the ground and don't take them far away from where you found them. 2. Never touch a bat with your bare hands as they can carry dangerous diseases. 3. If you need to move the bat, pick it up the way you would a spider, i.e. put a box over it and slide a piece of card underneath. 4. Put the bat into a box (I used a washing up bowl) with a piece of material, such as a tea towel or small towel, and a small container, such as a plastic milk container top, filled with water. Do not put a lid on the box. 5. This is important. Bats naturally want to climb. When they've climbed high enough they will be able to launch themselves and fly away. So put the box somewhere high up by a wall so they can climb out and keep on climbing. The perfect place for the bats I had found was in the garage which was close by and where other bats were roosting. 6. Now leave the bats alone! The vet told me that I should call again if any of the bats were still there the following day. However, I'm delighted to report that they all recovered, climbed out of the box and up the wall and eventually flew off! This wasn't the only bat encounter of my stay. A bat appeared in the hearth. Another was found roosting in the curtains in the living room. And yet another was found on the outside wall of the barn, close to the ground and facing downwards. All three were subjected to the same procedure that the vet had suggested and all three survived and flew away. I left a note for the owner of the barn to let her know what had happened. Hopefully, no more bats will fall into the drain or get into the barn through the chimney! I encountered these bats in Cumbria, but there are plenty in Peterborough too! In almost all cases bats should be left alone. 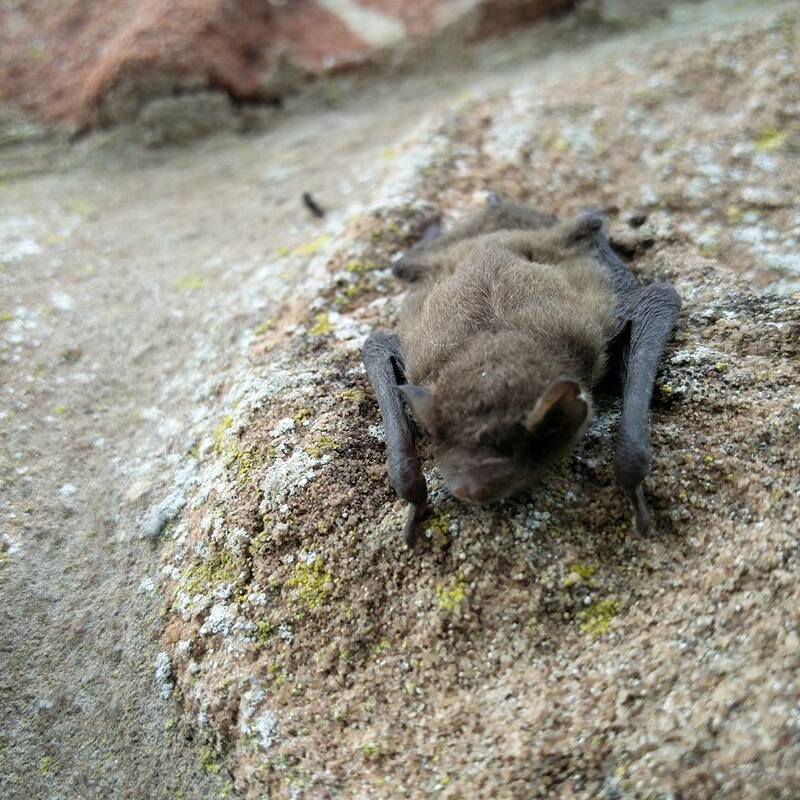 However if you come across bats that you think may be in distress please get in touch with either a vet or the Bat Conservation Trust on 0845 1300 228 and follow the advice that you are given. Bats are precious, protected and we need them as much as they need us! But it so important to give them the right sort of help, so always, always contact the Bat Conservation Trust or a local vet if you come across a bat you think may be in need of help. I have two stories about cats to share, one heart-breaking, the other heart-warming. On 4th December 2015 at 10am there was a knock on the door of my house which is in a cul-de-sac in Orton Northgate. I opened the door to a young woman who was clearly in some distress. "I'm sorry to disturb you, but there is a dead cat in the road and I can stand to just leave it there", she said. I craned my neck to look down the street in the direction she was pointing, and could just about make out a black shape in the road, with cars swerving to avoid it. While my partner and a another gentleman from a house further down the road gently removed the cat from the street and washed the tarmac, we knocked on doors to see if we could find the cat's owner, but without success. This is the street where the incident happened. It's a residential cul-de-sac, much the same as many around our area. I own two cats. I know how I'd feel if one of them simply went missing without explanation. So rather than call the council right away, my partner and I drove with the cat to our vet in the hope it might have a microchip with details of the owner. The vet was very caring and saw us right away without an appointment. Unfortunately, the cat was not microchipped. Earlier this year, a new law was put in place that requires all dogs be microchipped. However, the law does not currently extend to cats (although I believe it should and I have signed a petition to Parliament in the hope of addressing this). 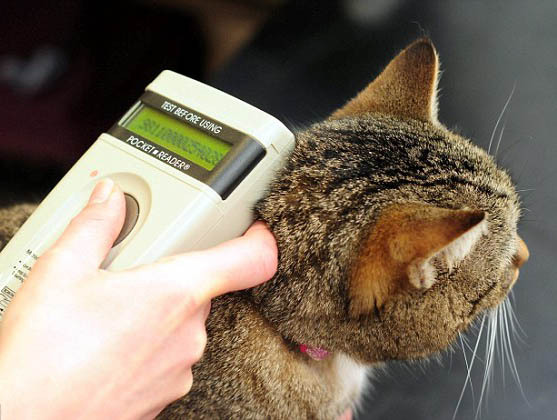 You may think that you cat doesn't need microchipping as it never goes anywhere. However, it's those cats that never go anywhere that are least streetwise and most likely to be involved in an accident if they do stray into the road. This is my cat Derek. I really wanted to find the owner before calling the council. Unfortunately, this hadn't been possible so I had no option but to call the council to ask them to collect the cat from me. The council workers arrived within the hour and treated the matter very sensitively. I told them that I was sorry they had to deal with things like this and they said that, unfortunately, it's a common occurrence in Peterborough. The following day, I put notes through the doors of several of the houses in my street asking anyone who had lost a black cat to get in touch with me. Thankfully, this solicited a quick response from the owner and I was able to tell him what had happened on the previous day. It wasn't a conversation I'd care to repeat but I felt very relieved to have been able to tell him what had happened to his cat, as dreadful as the news was for his family. If it had been one of my cats, I know I'd have been very grateful to know what had happened. The cat had been run over (and died instantly) in a hit-and-run incident. It was clear from looking at the aftermath that it had been hit by a large vehicle, such as a delivery van, and dragged some distance. Whoever hit the cat must have known what they had done, as it was obvious from tyre tracks that they had driven past the scene to leave the cul-de-sac shortly after the incident happened. In the UK, if your car hits a dog you are compelled by law to stop and report it. However, cats are not included under this legislation. A petition is calling for the law to be changed to include cats. 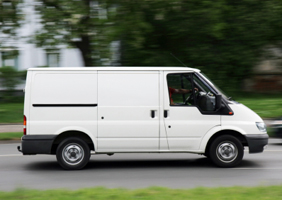 One would hope that whoever was driving the van would have realised that stopping was the right thing to do. Sadly, it appears not. If you're running over pets you are driving TOO FAST. Delivery drivers work to very tight schedules, and as this was just before Christmas the driver must have been under great pressure. Even so, driving without care and attention in our residential streets is not acceptable. What if this had been a child? There is a children's playground at the end of the cul-de-sac so it is even more important that delivery drivers take greater care than this when visiting our neighbourhood. So what can we do to prevent this from happening again? Clearly, drivers need to drive with greater care and attention on our residential streets. If you're driving fast enough to run over a fit and healthy cat in a cul-de-sac your either driving too fast, not paying sufficient attention or both. Peterborough Green Party supports a campaign called '20's Plenty' that aims to encourage drivers to slow down in residential areas, particularly around schools and other areas where children congregate. There is no expectation that drivers will all slow down to 20mph, but the hope is that seeing the signs will remind drivers that residential areas are not motorways and that it's all to easy to knock down a child or animal when you're going too fast in a built-up area. What do you think about this? 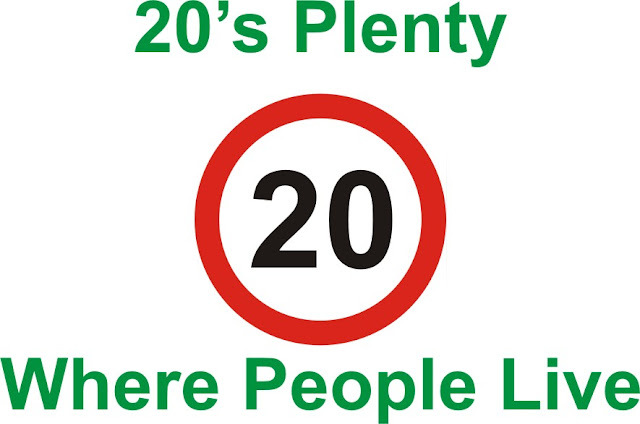 Would '20s Plenty' make a difference to the road safety in your street? Let's finish this post with a heart-warming story, that serves a as a reminder of how wonderful our community in Orton truly is. 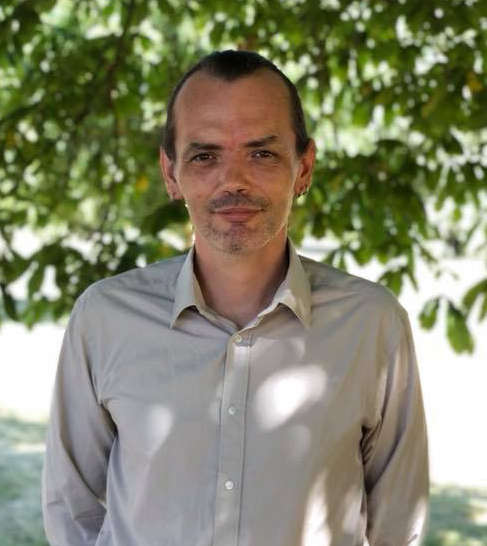 Orton Southgate has an active residents' association and a Facebook group where residents share information and post messages of concern. It was about 10pm one evening in April when I spotted a call for help. 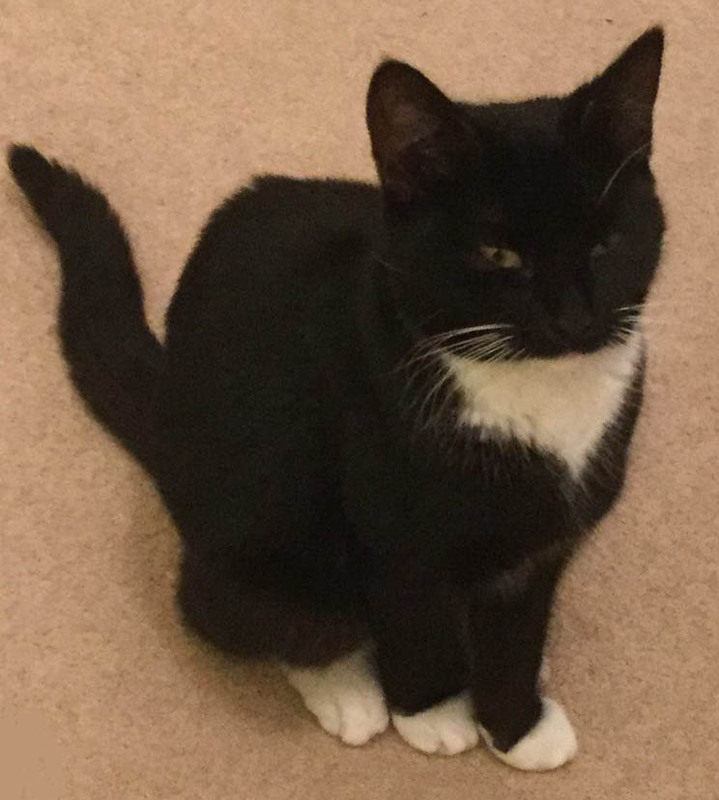 A lady living in Orton Southgate had discovered a cat behind a shed in her garden that appeared to be lost. The usual advice if you see a cat that you believe may be missing from home is to leave the cat where it is but give it access to water. Put posters up in nearby streets and put messages out on social media in the hope the owners will recognise the description of the cat and come to collect it. Cats roam, and in many cases will find their own way home. This particular cat had been seen near the shed for a number of weeks, however, and it was quite clear from its behaviour that it was truly lost. The lady who had taken the cat in was unable to keep it overnight due to having other animals so was asking whether anyone could look after the cat prior to it being taken to the vet the following day to scan for a microchip. I dug out a cat basket from our garage and made my way over to the lady's house and collected the cat. The cat was a real sweetie, a female not much more than a kitten really. She was no trouble and enjoyed a restful night with me. I posted information about the cat onto some local Facebook pages in the hope that someone might be looking for her. One of these was the fantastic Orton Sellers and Stuff. The following morning, we took the cat to the vet. Unfortunately, no microchip was found. We were wondering what to do next when a message from another resident appeared on my phone. A family had lost a cat that fitted the description that I had posted. A picture of their cat was attached to the message. It was immediately clear that this was the same cat! A short time later, a gentleman arrived at my home and before even seeing the cat or a picture of it he described it very accurately to me. He also showed me photographs of his missing cat on his phone. There was no doubt at all that this was his cat! And this is the amazing part of the story... the cat, which was only 8 months old, had been missing for THREE MONTHS from an address in Orton Malborne THREE MILES AWAY! Where on earth had she been all that time? And how had she managed to travel so far from home, over at least two very busy roads? It turns out the family had put 'missing' posters up in their area, but who was to know the cat would have travelled from Malborne, through Goldhay, through Southgate to finally end up in Northgate! The family took the cat to the vet and apart from a few tics (that fortunately had not transferred onto me or anyone else!) she was found to be in good health. But what a story she could tell! What a lovely example of a community pulling together to reunite a family with their beloved pet. Please microchip your cats and make sure the information held on the microchip company's database is up-to-date. Microchipping can't protect them from accidents or from going missing. 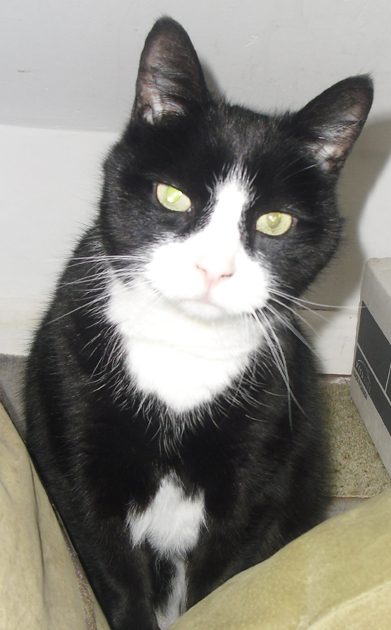 But when a cat is found, a microchip means it can be reunited with its family sooner rather than later. Any vet can microchip your cat, and a number of animal charities, such as Wood Green, can also help. Microchipping is as important for your cat's welfare as food and shelter, so if your cat doesn't have a microchip yet, please get it chipped today! I feel I have a lot to be grateful for. I also have a lot of very special people to be grateful to. Yesterday, I got to catch up with many of these people, some of whom I hadn't seen in nearly twenty years. I used to work for RNIB (Royal National Institute of Blind People), first at their offices on Great Portland Street in London, and later in their offices here in Peterborough, in Orton Southgate. I was just 23 when I joined RNIB in 1994. 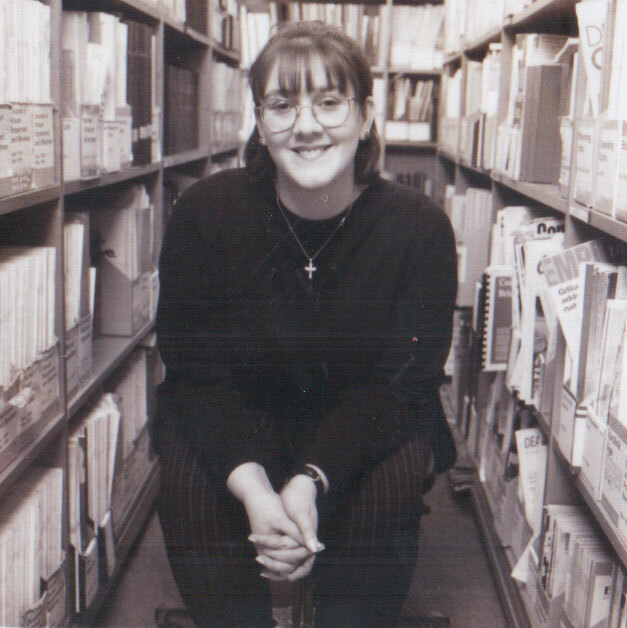 I started my career as a librarian, and worked for three years in RNIB's hallowed Reference Library. Over the next few years, my life changed dramatically. The worldwide web became publicly available. It was clear to me that disabled people - and blind people in particular - stood to gain so much from access to services and information via the internet, and I was determined to play a role in making sure this happened. In 1995, I started my own website (more about that another time) in an effort to learn more about how websites worked (remember there were hardly any websites in 1995 and no social media, hardly any mobile phones either and no iTunes or YouTube or any kind of online shopping!). I began holding training sessions in the library at lunchtimes so that staff could find out what the web was (seems unthinkable now, doesn't it?!). In 1997, I became RNIB's first website editor (possibly the first website editor in the entire voluntary sector and one of the first website editors in the whole of the UK, thanks to RNIB's progressive outlook). Then, in 1999, I switched roles again to become a campaigns officer, focusing on digital access. In 2003, I transferred to the Peterborough Office where I became Digital Policy Development Manager until I left the organisation in 2006. During my career with RNIB, particularly the latter part, I had the great honour of playing a role in campaigning to make new technology easier for disabled people to use. I was often the spokesperson and seen as the one leading this effort, but the truth is that I had an incredible team supporting me and a number of influential people guiding me. RNIB was a wonderful place to work and I am so grateful for the time I spent there. It made me a more professional, sharper and more compassionate person, and equipped me with many of the skills that I rely on today, such as public speaking, media liaison and negotiation. I joined RNIB because I wanted to work for the then Director General Ian Bruce. Ian is a much loved and much respected figure in the voluntary sector. It's not just that has achieved so much for blind people and other disabled people through his efforts. He is also an incredibly caring and supportive people manager. Even when I was at the start of my career he made the effort to know who I was. He took genuine interest in his staff, always listening to and taking on board what they had to say and including even the most junior staff in decisions when he felt they had a point of view that should be heard. On many occasions he championed and protected the work that I was doing (not everyone in the organisation was so positive about new technology!) and he took personal interest in ensuring that I was able to get on with my job whenever barriers appeared in my way. 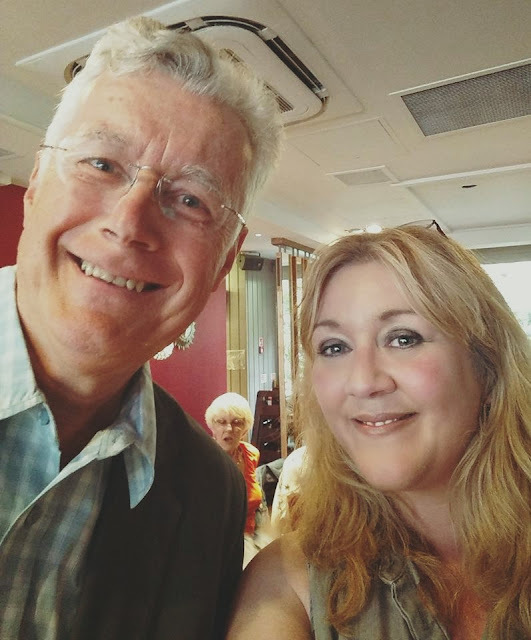 Moreover, I would never have moved from London to Peterborough were it not for Ian, who ensured that I was able to continue my work here when budget cuts meant the London office could no longer support my role. That I dropped my life in London immediately and moved to a city that was completely new to me is some indication of how much I trusted Ian. Frankly, I'd do anything for him. I've worked for other directors before and since and there is no compare. When he retired from RNIB, I also left. I had no appetite to work for anyone else. Another of my terrific managers at RNIB was Stephen King, who was the director of the division that I worked in. Stephen also both sheltered and encouraged, guided and inspired me. And just like Ian, he took personal interest in my career development and in making sure that I had what I needed to do my job effectively. I have been very fortunate in my career. My work has been recognised a number of times. But it is important to understand that I relied very much on supportive teams and fantastic managers, including my line managers Steve Tyer and Richard Orme, who were there when my job was very uncomfortable (which it often was, being quite high profile and frequently under scrutiny) as well as providing encouragement, a sounding board and reassurance when I made mistakes (which I often did and it's important to acknowledge this). 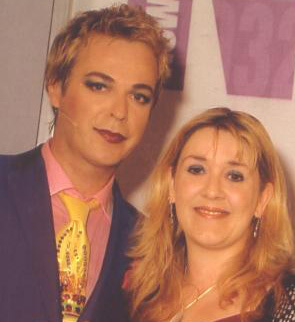 With Julian Clary in 2005, when I received the New Media Age Effectiveness Award for Greatest Individual Contribution to New Media. I received the award but the achievement was very much a team effort. Last night, Ian Bruce organised a reunion of some of the staff he used to work with at RNIB. Ian has continued to support me since I left RNIB. In particular, he helped to crowdfund my first book and as a result I won a worldwide publishing contract. 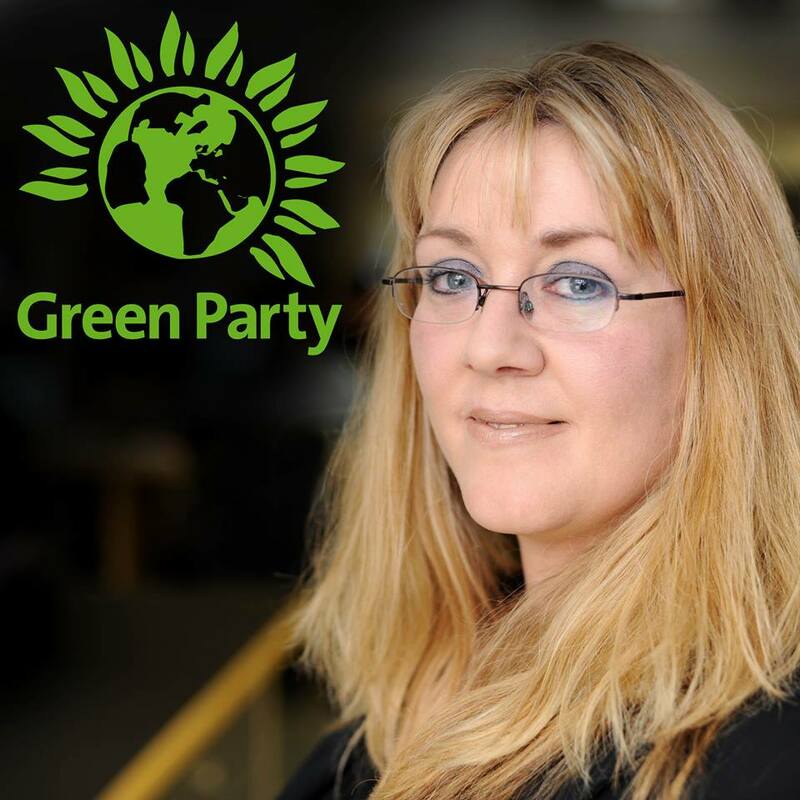 Now here I am with the Green Party in Peterborough. This would never have happened were it not for Ian. I was so pleased to have the opportunity to thank Ian and Stephen for their support again last night. We're often reminded to be grateful to our parents, but managers are rarely given the credit that they are due. 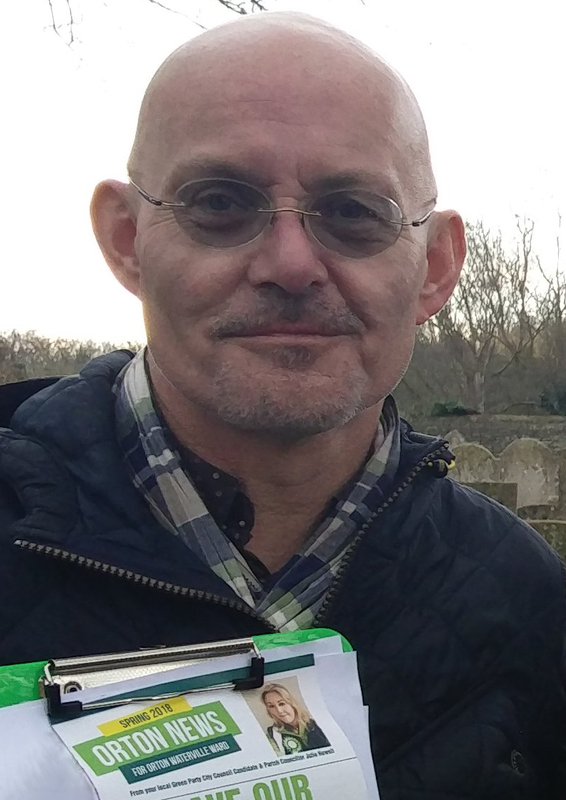 Without these people, I wouldn't be here in Peterborough, on two parish councils and having stood as a Green Party candidate in the last city elections. In fact, I wouldn't have had many of the wonderful and life-changing moments in my life without their input and advice. Thank you Ian and thank you Stephen and thank you all the managers who truly support and develop their young staff and help them to turn 'jobs' into 'careers' with wider benefits for all of our communities. With my former RNIB colleague Gill Levy who was of incredible support to me during my time at RNIB. My dog Reggie is a local legend. My little Lhasa Apso has already had a double-page article in Nene Living magazine, that charted his low-impact walks around some of the many dog-friendly beauty spots in the Peterborough area. This weekend took the dog biscuit, as Just Dogs Live came to Peterborough Arena. Over three days in July, the air around Orton is filled with the not unpleasant sound of excited dogs. In fact, this particular show is a pleasure to live near as what noise can be heard in the surrounding estates is pretty minimal, especially at night. 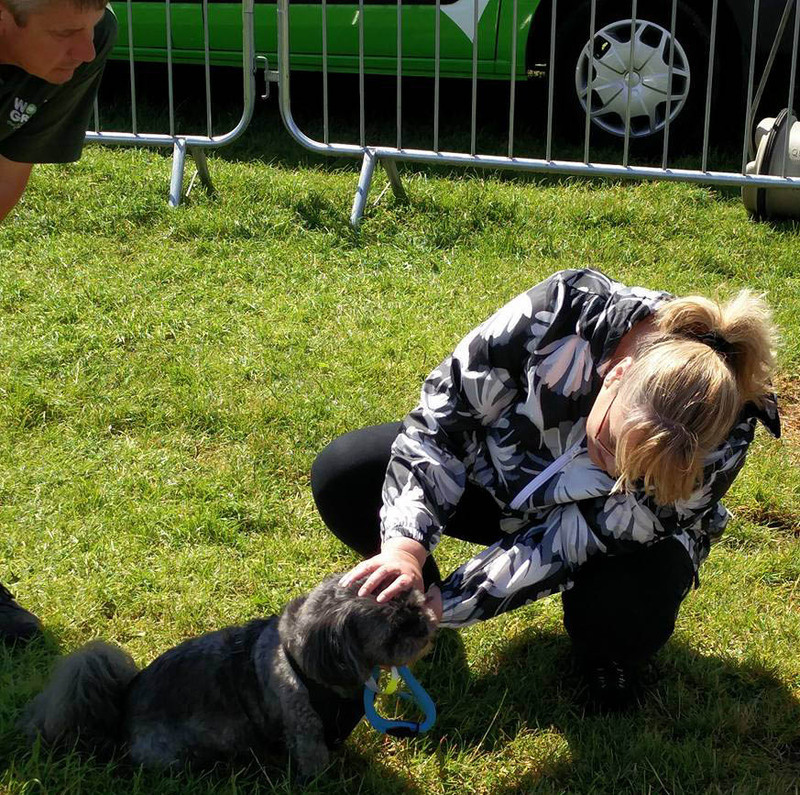 This must be a testament to the skill and care of the thousands of dog owners and handlers who descend on the showground to show and show off their dogs' abilities and appearance. 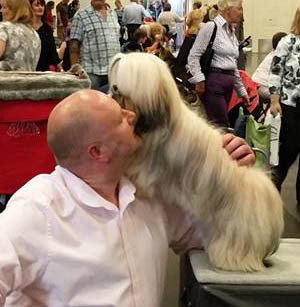 Although Just Dogs hosts a professional dog show on behalf of the East of England Champion Dog Show, there is also Companion Dog Shows for dogs that are not quite in the professional league, a School for Dogs run by Wood Green and an agility course. However, I was really keen to take Reg back to the Wood Green School for Dogs to find out if a year of daily recall training had made the slightest bit of difference to his ability to follow simple commands. I adopted Reggie from Wood Green a year ago when he was seven years old. Lhasa Apsos were originally bred by Tibetan monks as watch dogs. They make lovely pets, but keeping an eye on things is their main concern. They are less interested in doing what you ask unless it suits their agenda (which it usually doesn't). However, I believe you can teach an old dog new tricks, so I've persisted with Reggie and he gets no treats unless he has in some way earned them (you can choose to believe that or not). To my astonishment, perseverance has paid off. He was a little star at the Wood Green School for Dogs and did everything that was asked of him. 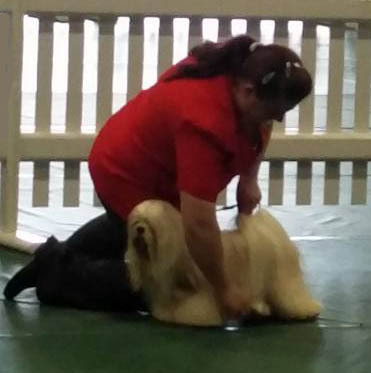 He won a rosette and I was very proud. Later in the day, I bumped into my friends Caroline and Roy who have a Rottweiler called Bruno. Reggie and Bruno get on really well. The Lhasa Apso is sometimes referred to as 'lion dog' as it's said that when a Lhasa Apso looks in the mirror he sees a lion (while the rest of us see a cross between a teddy and a koala bear!). 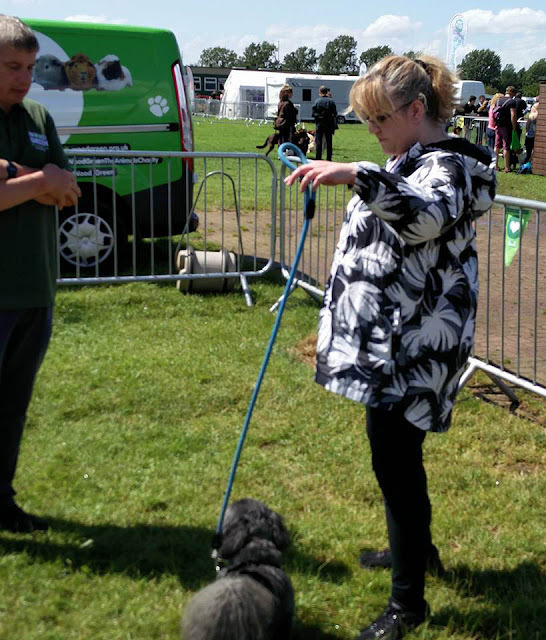 Caroline told me that Bruno had just completed the agility course and encouraged Reggie and I to have a go. HA! I knew public embarrassment was on the cards so with some reticence (on my part, not on Reggie's) we decided to give it a go. Fortunately (or unfortunately) someone was there to capture the entire thing on video. Not the fastest around the course (nor was I), Reggie gave it his best shot and I was amazed at how he kept focus with so much interesting stuff going on around him. I was very proud of the little man. I thought he'd have nothing to do with anything. Just shows, you should never underestimate anyone, including dogs that look like koala bears. As well as taking part in a few things for fun, when the rain came we moved inside the Arena to have a look at the show dogs. We keep Reggie's hair short for his comfort and highly recommend Handsome Hounds in Bretton who do a brilliant job trimming Reggie's coat the correct way for his breed (they were at Just Dogs Live too!). 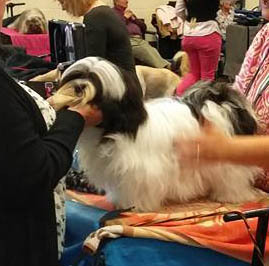 We saw a few other Lhasa Apsos who had their hair styled in various ways. We've grown used to Reggie with short hair and can't imagine him looking like this! Just Dogs Live wasn't the only activity for dogs and their owners in Orton this weekend. 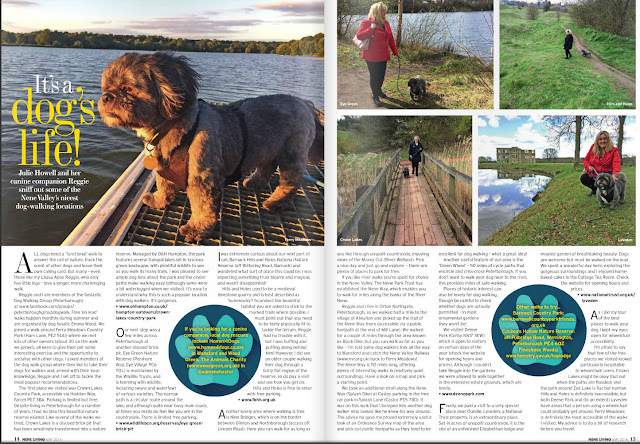 On Sunday, over in Ferry Meadows, it was time for the monthly Peterborough Dog Walking Group walk, organised by Emma Wood. This FREE on-lead walk takes about 90 minutes and all types of dog are welcome (although, if your dog is reactive, you are asked to keep him under control and muzzled if necessary). To find out more about the group join its Facebook Group. Reggie and I have been on the walk a couple of times and thoroughly enjoyed it. The next one is scheduled for August. Perhaps we'll see you there! Wonderful things happen in our community every day, and over the coming weeks and months I intend to tell you about as many of them as possible. 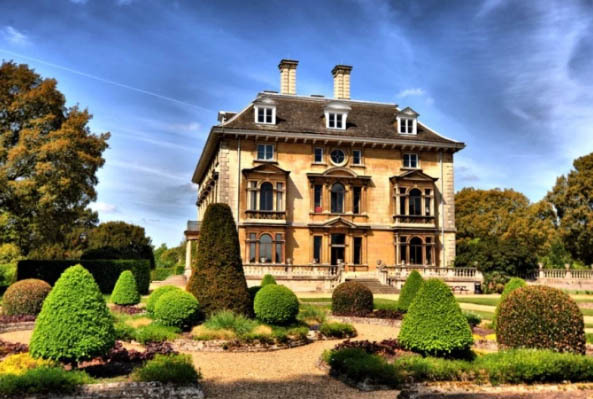 Orton is a lovely place to live and in our wider city environment of Peterborough there are many fantastic facilities and services that help to make our area a truly terrific place to live and to work in. But it's not all good, no city ever is. Anti-social behaviour, in its myriad forms, happens all over the country and Peterborough is by no means immune to it. However, something happened outside our precious Sue Ryder Thorpe Hall Hospice this week that, for me, is beyond the pale: fly-tipping. I was first alerted to what had happened by an article in the Peterborough Telegraph. It explained that a 'van-load of rubble, broken wood and insulation' had been illegally dumped in an area of natural beauty that had just been painstakingly re-created by volunteers for residents and visitors to enjoy. The anger and upset I feel is difficult to put into words, but I will try. People in need hospice care are not rubbish and where they are cared for is not a rubbish tip. At some time in all of our lives we, or someone close to us, will need the care and support of our local hospice, either for end-of-life palliative care or for support living with the consequences of a long-term illness. At these moments we are at our most vulnerable, our most bewildered and in most need of the dignified and unconditional support that hospice staff and volunteers provide. 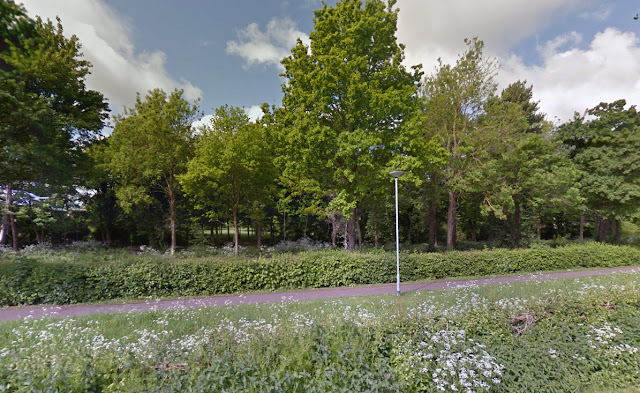 Treating the grounds of the hospice as an open refuse site is the opposite of dignified and it burns my heart to think how the staff and residents of Thorpe Hall must have felt when this very selfish thing happened right on their doorstep. If you've never needed the services of a hospice, perhaps I can explain a bit about what they do by sharing some of my family story. 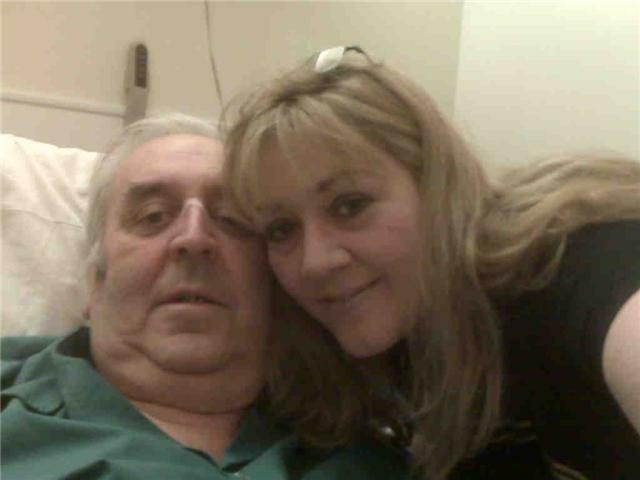 On Christmas eve 2009, my dad was diagnosed with late stage terminal cancer of the throat. Treatment was not an option, so he was quickly transferred to the hospice in his area (not Peterborough) where he peacefully passed away on 12th February 2010. Had he not had access to a hospice, where the care he was given gave him great dignity and peace and where we as a family always felt very welcome and supported, he would have died in a noisy hospital with none of the support or care that he experienced at the hospice, quite simply because hospitals are not equipped to support people with terminal illness in the same way. I found my dad's death very difficult to deal with (I still do, and expect I always will). I can be a tough cookie and the relationship I had with my dad when I was a teenager was certainly fiery at times, but he was still my dad and I loved him and wanted him to know that. I was really, really scared that my dad would pass away without knowing how much I loved him and needed him, and it was the kind and caring hospice staff who I turned to for advice and support on how to stem the flow of my tears long enough to be able to have a final, proper conversation with my dad before he died. In a regular hospital that would not have happened. 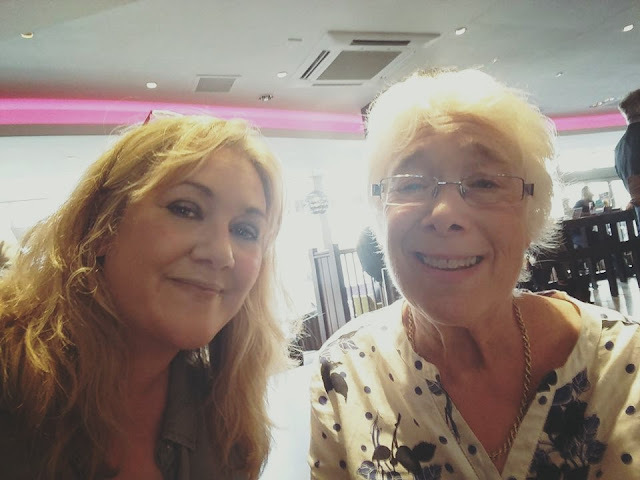 The best way I can describe the experience of being with a loved one who is in the late stages of a terminal diagnosis is this: it is like you're both in the departure lounge of an airport. Your loved one is about to go on a one-way journey and you know you won't see one another again. But the plane has been delayed. You know it will come eventually, but you don't know when. In the meantime, you are both sat in the departure lounge feeling terrified but with no idea what to say to one another. In this most dreadful of situations, hospice staff are there to help and I don't know how they do it or what we would do without them. As many of you know, I have multiple sclerosis (MS). I was first diagnosed with MS when I was just 19 and am now 45. I am acutely aware of the incredible care Sue Ryder provides to people with MS through our hospice and others like it. A friend worked in a hospice where I used to live and she said to me 'You matter until the last day of your life'. This is so important to remember. Being in a hospice doesn't mean your final days have no meaning, quite the opposite, They are an opportunity to squeeze as much from life as there is to be squeezed (in the circumstances). I don't know what course my MS will take. My dad's mum also had MS and she passed away at the age of 55 owing to complications. 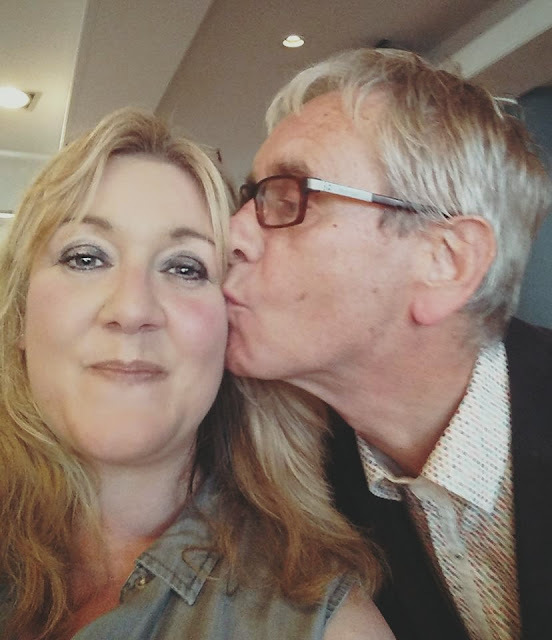 A close friend of mine, who also had MS, passed away aged 43 as her weakened immune system couldn't cope with an otherwise 'simple' chest infection. What I do know is whatever the future holds, if the hospice isn't there to support me and my family the outlook will be far more bleak. The hospice costs £2.8million per year to run. The last thing it needs is unexpected clear up costs. I wondered what I could do to help. Peterborough City Council has advised the hospice that the specialist clear up will cost £200. What was needed was money, and so I have sent the hospice a cheque for £200 which I hope will go some way to at least clearing up most of the mess. Moreover, I would like to take the opportunity to let people know why our hospice matters. It is one of the jewels in Peterborough's crown and its staff and volunteers should be treated with our greatest respect. The hospice now needs more help to install CCTV in the hope of deterring further fly-tipping at its site and catching those that do. 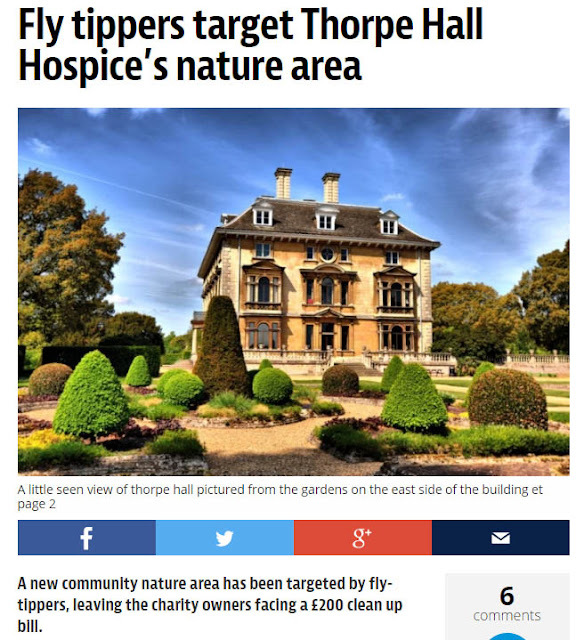 If you can spare anything at all (I could ill-afford the money I sent, but I can ill-afford a future without our hospice so I really don't care about the money) please send Thorpe Hall Hospice a donation. You can do so very easily via its website. This was difficult to write and it may be difficult to read. If you or a loved one are currently coping with a terminal diagnosis I send you lots of love. In loving memory of my dad, George Williamson 1942-2010. 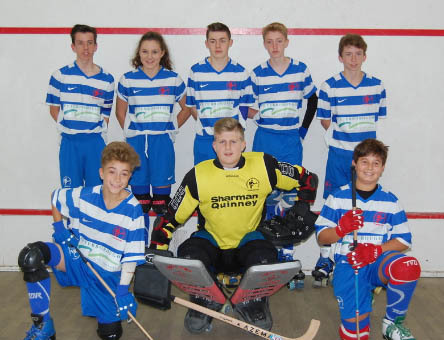 This morning, I enjoyed the thrill of watching Peterborough Roller Hockey Club (PRHC) under 17s triumph at the Eastern Counties Roller Hockey Association Cup Finals at Bushfield Sports Centre in Orton Goldhay. Never heard of roller hockey? To be honest, neither had I, until a friend invited me along to watch her talented son play in the Peterborough Under 17s team. PRHC were triumphant, winning by 4 goals to 1 against visitors Sudbury. Established in 1966, PRHC meets on Thursdays and Fridays for training with boys and girls from the local community ranging in ages from 5 years upwards. Roller hockey is a fast-paced sport, played indoors between two teams of five. It's a bit like ice hockey (without the ice) and a bit like hockey (but on wheels). The match I watched lasted for two 15-minute periods with success relying on agility, endurance, teamwork, skill, a very enthusiastic coach and and equally enthusiastic audience. A couple of things struck me as I watch the teams from right across our region preparing to compete. All, without exception, were absolutely focused on their game. When a goal is scored not a moment is spent celebrating as the ball is brought straight back into play. The concentration on the players' faces made me smile, because there is something joyful in seeing young people united together as a team, determined to succeed in their goal. I went to school in the '80s when 'contact' sports didn't have mixed teams. Girls played hockey or netball (I was rubbish at both), boys played football or basketball or rugby. In roller hockey, the teams are mixed, with the girls playing every bit as enthusiastically and energetically as the boys. It was great to see the girls holding their own and clearly being unafraid to mark their opponent. My generation wasn't encouraged in this kind of sport but it seems obvious that the girls and boys in these teams view one another as equals, and that can only be good for their confidence in all areas of life. If you live in Orton, this is your local team. If you ever get a chance, do go along to view a match. You'll find the fixtures on the PRHC website. 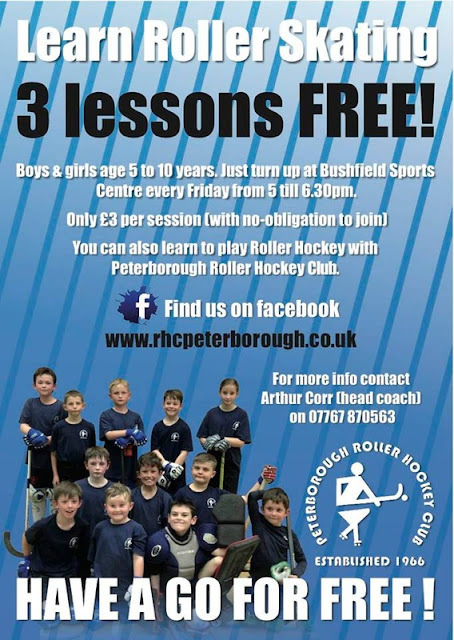 If your child is interested in trying roller hockey, PRHC holds beginners skating sessions on Fridays 5pm-6:30pm at Bushfields Sports Centre, Orton Goldhay. The first three sessions are free, and then £3 per session thereafter. For more information, visit the PRHC Website and Facebook page. Free roller hockey lessons for your child!